With their latest project “Transit Kitchen” Berlin artist duo Folke Köbberling and Martin Kaltwasser engage Torontonians and people from Montreal to address questions around traffic, public transit, cycling, pedestrian movement, with the most attractive scenarios of their evermore mobile metropolis. 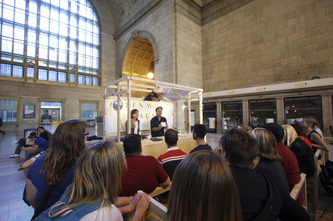 In “Transit Kitchen,” a TV cooking show-style studio built by Köbberling and Kaltwasser at the Evergreen Brick Works, the artists invite visionary, creative, and open-minded Canadians to present their utopias, ideas and wishes regarding the future of municipal transportation, public collective mobility, and movement culture in Toronto in the form of lists of ingredients, recipes, dishes, cooking methods, and gourmet tips. 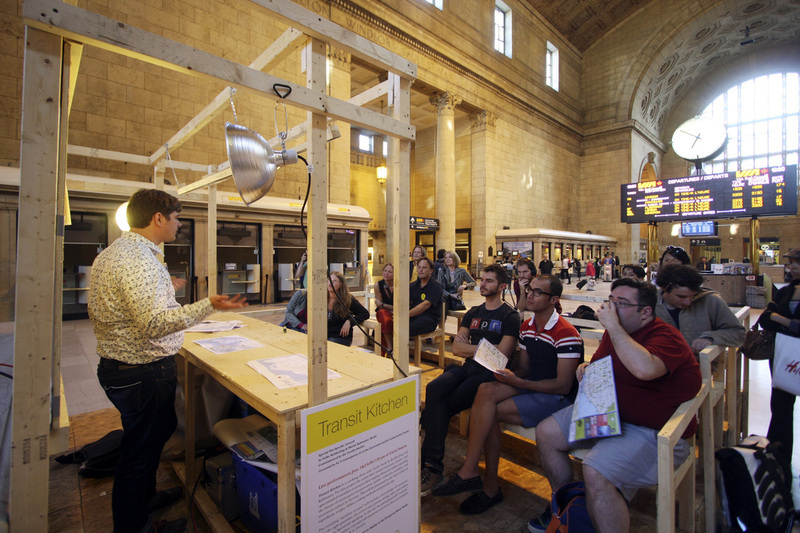 In this way the participants will “cook up” possible transportation concepts and situations, performed in a kitchen environment, and serve them up as examples of a better urban lifestyle in Toronto. 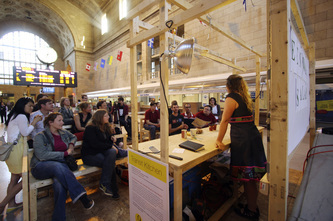 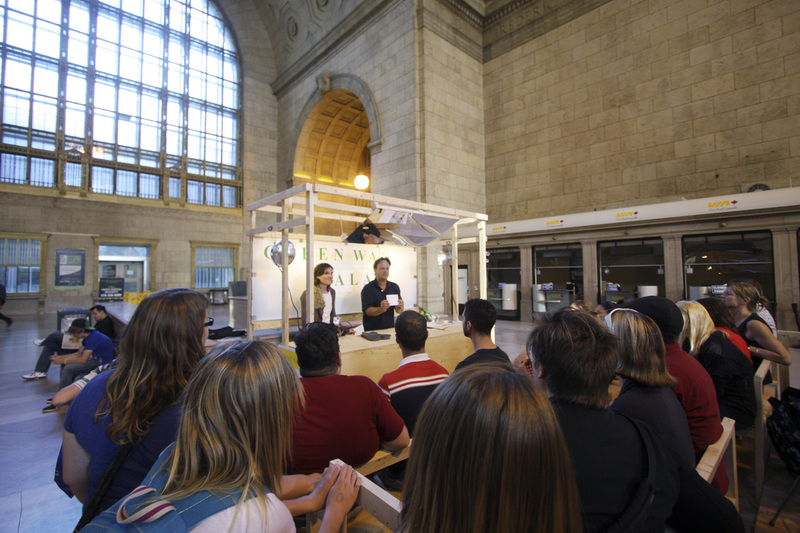 You will be able to experience “Transit Kitchen” live for the recipe performances’ taping on June 1 and 2 in Toronto’s Union Station. 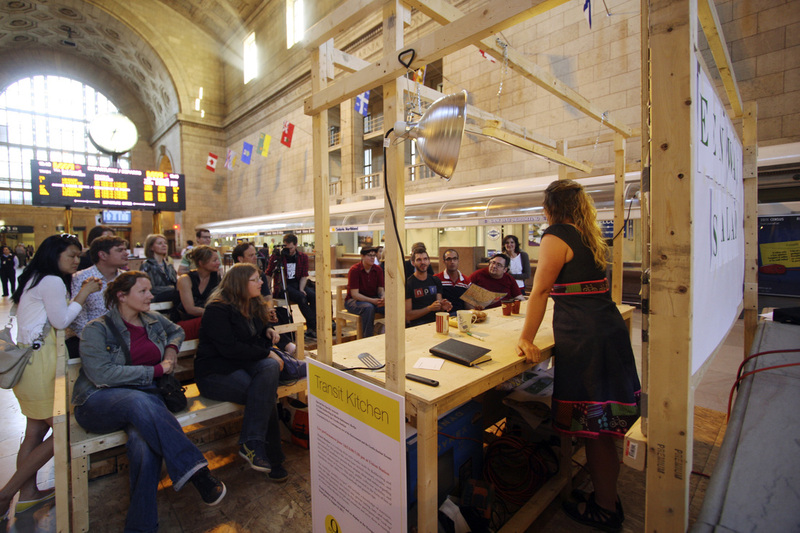 Following this, Köbberling and Kaltwasser will set up “Transit Kitchen” at the Evergreen Brick Works, expand it with additional fixtures, cabinets, and cooking utensils and make it accessible to the public.